Howdy! Welcome back to The Brian Nichols Show! And for you newbies... Welcome to our happy little family of liberty-loving folk! Today I&#39;m joined by Kevin Warmhold! Kevin is the Communications Director for the Nassau County Libertarian Party in New York State. Today, Kevin helps present the Libertarian answers and solutions to the many problems that Nassau County, New York State, and frankly, most of the United States, are currently facing. Listen as we discuss marijuana ... See More legalization, education reform, ending minimum wage hikes, and more! 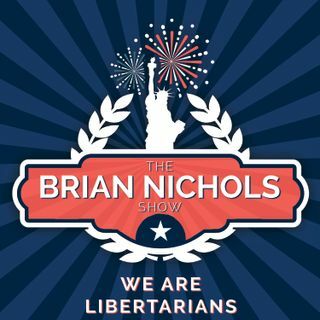 Learn more about the Nassau County Libertarian Party: https://lpnewyork.org/nassau/Sponsored By:Butcher Box: If you&#39;re a listener of The Brian Nichols Show, then you know that I like to talk about fitness and such. Sure, I like to lift things up and put things down to get big and strong, but the reality is that lifting weights is just half of the the equation needed to see results.